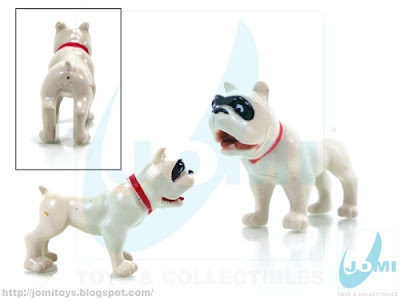 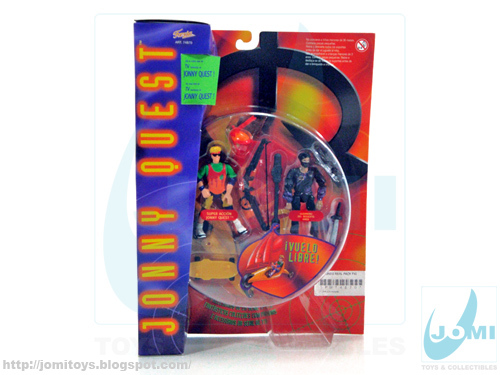 Released by Famosa in Western Europe, JQ figures came with (spanish) names for the 2 packs. 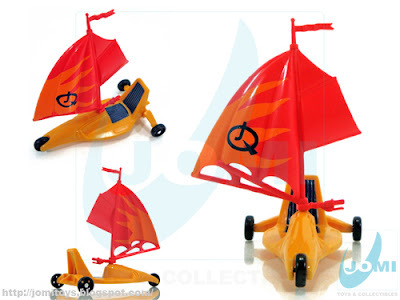 This is "Vuelo Libre" Free Flight. 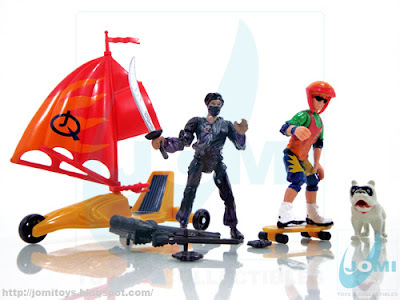 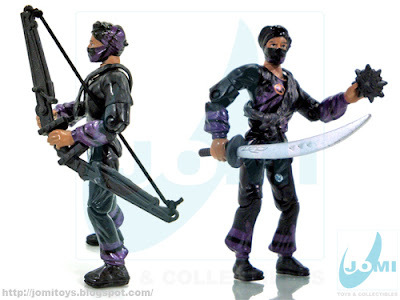 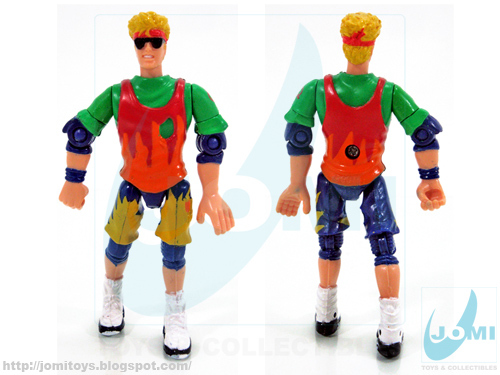 Pack included X-Treme Action Jonny and Desert Stealth Hadji. 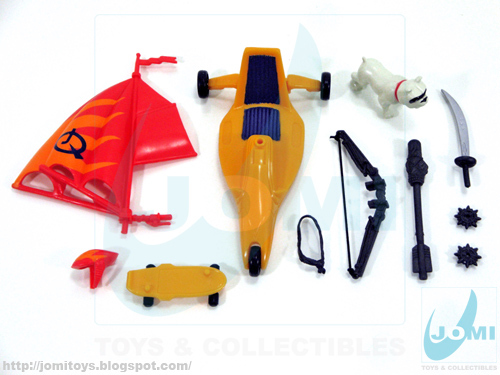 Included vehicle: Whike. "Windsail barge and sail". 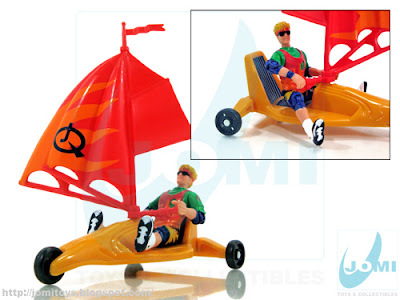 Not the best fit, since Jonny´s feet don´t snap to the board and everytime the sail turns, so does the whole figure. But a nicely done small vehicle. 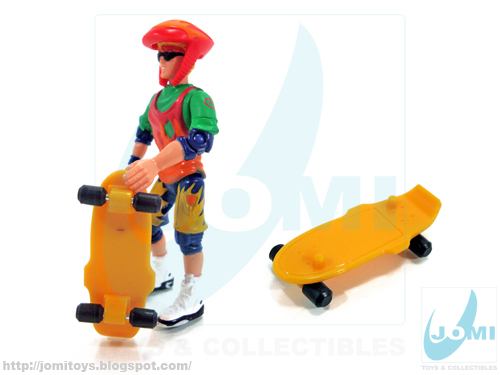 Also included, a helmet and skateboard with free rolling wheels. Hadji came with a huge (working) bow and arrow, a nice scimitar and 2 throwing stars. 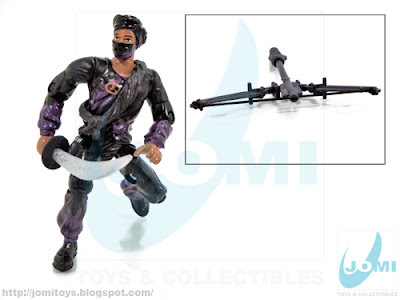 While Jonny Quest figure is portrayed as a real youngster this time, Hadji looks awesome.